Brookyn is a 2017 graduate of Centennial Collegiate. She’s a talented athlete who loves soccer and flag football. Her football team was on fire last year – we ended up scheduling her session around playoff games! She’s really into photography too. It was so fun to chat about our mutual interests and hear her ideas. We spent a fun evening exploring Wanuskewin for her Saskatoon grad photos. Here’s some favourites from her session! Copperblue Photography and Design is a Saskatchewan wedding and graduation photographer. Still looking for Saskatoon grad photos for 2018? Click here for more information! Thanks Allie! I loved it too! Right? It could not have come together more perfectly! Thanks Jenn! these are absolutely gorgeous! Her dress looks perfect on her. Thank you Michelle! Her grad dress was gorgeous! Gorgeous! Her dress is so beautiful! Thanks Rose! It was so pretty! I love everything about this session! The glow, the colors, the dress, the location! Great job! Thanks Mandi! 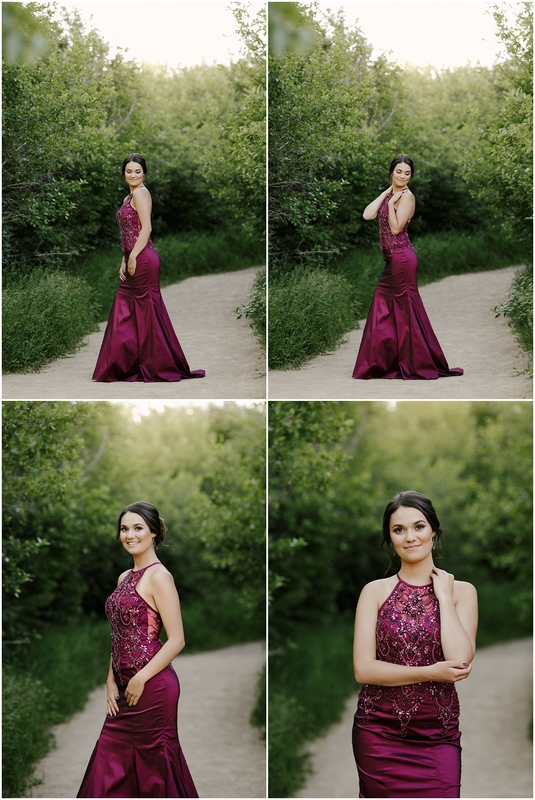 It was so fun to do something a bit different for her grad photos!